The UVa Men’s lacrosse team has a lot to play for Saturday when #20 Ohio State rolls into Klockner stadium on Saturday. Coming off a thrilling 11-9 victory over then-#14 Cornell in the Face-Off Classic was a nice rebound after dropping one to Syracuse the week before. Now a tough home battle against an Ohio State team UVa has not faced since 2001. To keep the momentum the Hoos will have to rely on last week’s ACC Defensive Player of the Week Adam Ghitelman and the emergence of some fresh faces at midfield including Colin Briggs and Rob Emery. It will be tough sledding against the Buckeyes, who have already pulled off one of the bigger upsets of the season, knocking off North Carolina when they were #3 in the country. They also boast a stout defense, allowing just over 7 goals per game on the season. The game is slated for 3 pm and you can follow live stats at www.virginiasports.com. There will also be a live blog running on InsideLacrosse.com. Inside Lacrosse put together a photo expose of UVA’s gear during the Face-Off Classic. Pretty sick, check it out. Video of the UVA Women’s squad retiring Yeardley Love’s jersey. The University of Virginia men’s lacrosse team cruised to a 22-6 victory over visiting Mount St. Mary’s on Tuesday night at Klockner Stadium. The Cavaliers (2-0) were led by Steele Stanwick, who scored a career high 8 points off 3 goals and 5 assists. Chris Bocklet chipped in 4 goals, while Rhamel Bratton and Matt White scored 3 each. Adam Ghitelman recored 9 saves in his first start of the season. He missed Saturdays matchup with Drexel due to an undisclosed violation of team rules. Two other goals logged minutes for the Cavaliers as well. As a team, UVA was perfect in the clearing game (22-22) and in extra man situations (4-4) while dominating the ground ball battle (59-39) and shots (51-35). The Cavaliers next face #5 Stoney Brook away on Saturday, faceoff at noon. No. 12 Loyola nearly doubled up on the No. 7 Virginia women’s lacrosse team Saturday afternoon, downing the Cavaliers 15-8. The game, at the Ridley Athletic Complex in Baltimore, was the season opener for both teams. Freshman Marlee Paton led Loyola with a game-high five goals on the afternoon, while BIG EAST Preseason Attack Player of the Year Grace Gavin tacked on three and an assist. Preseason All-BIG EAST Team selection Abby Rehfuss had one goal, while the Cavaliers’ defense held Cara Filippelli scoreless. Juniors Charlie Finnigan and Julie Gardner led Virginia’s attack with three points on two goals and one assist, while redshirt junior Ainsley Baker added two goals. Junior Josie Owen had one goal and one assist, while freshmen Liza Blue and Dana Boyle each recorded their first career point. Blue had a goal, while Boyle dished out an assist. 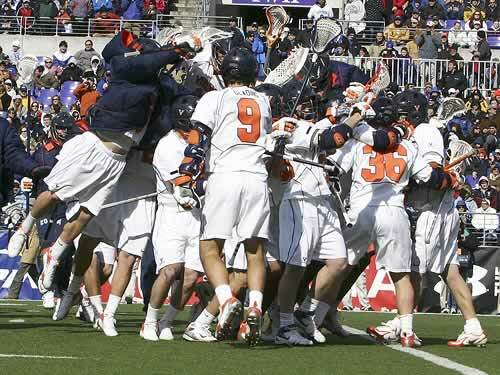 The University of Virginia Men’s Lacrosse team will open its 2011 season this Saturday against No. 18 Drexel at Klockner Stadium starting at 5 p.m. in what should be an exciting early season test for a team vying for another National Championship. This is the 10th straight season the Cavs have opened with the Dragons. UVA has also announced it will hold its April 2 contest against ACC rival Maryland at Scott Stadium instead of Klockner, at 12 p.m. The game will be held before the football team’s annual Spring Orange-Blue game. This was an idea cooked up at Ohio State University a couple years ago to great success. It is both a boon for the lacrosse program to have the extra fans and a way to get fans interested in different sports. Tickets are $7 for adults and $5 for the kiddos. On the Women’s side, the No. 7 Cavs travel to No. 12 Loyola for their season opener against the Greyhounds. Will be another early season test for a young squad looking to overcome some obvious emotional hurdles this season. Charlottesville, VA – Season tickets for the 2011 Virginia men’s and women’s lacrosse seasons are now on sale. Virginia lacrosse season tickets may be purchased online at VirginiaSports.com, by phone at (800) 542-8821 or in person at the Virginia Athletics Ticket Office in Bryant Hall at Scott Stadium Monday through Friday from 9 a.m. to 5 p.m. 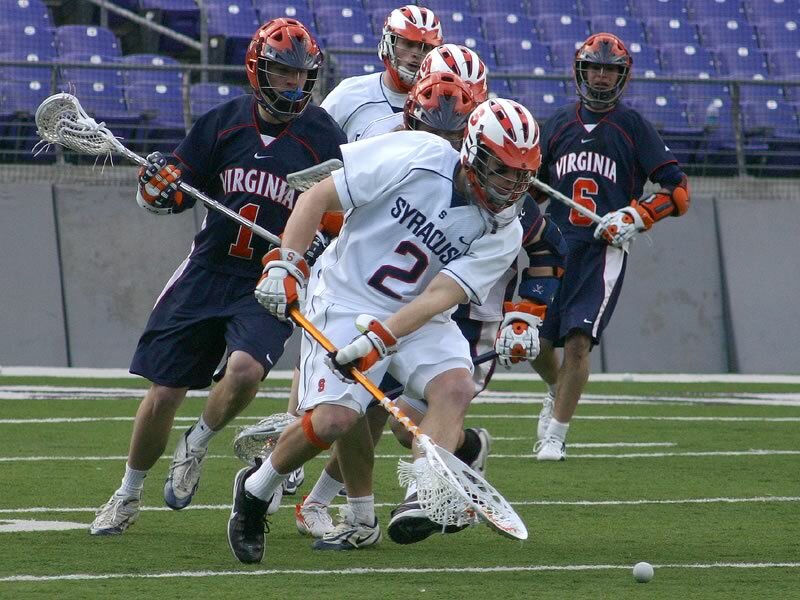 The 2011 lacrosse general admission season ticket includes admission to all home games for both men’s and women’s lacrosse for $30 for adults and $20 for youth, seniors, and UVa faculty and staff. An all-lacrosse Reserved season ticket is available for $40. Fans may also purchase Reserved season tickets exclusively for men’s or women’s lacrosse for $30 each. Reserved seating is limited to the blue chair back seats at Klöckner Stadium. Reserved season tickets sold out last year and all season ticket holders from the 2010 season will have priority on renewal. All new Reserved season ticket orders for 2011 will be put on a waitlist and seating will be done based on priority. In just two days, four of the top NCAA lacrosse programs will meet at M&T Bank Stadium in Baltimore for the Second Annual Inside Lacrosse Face Off Classic. 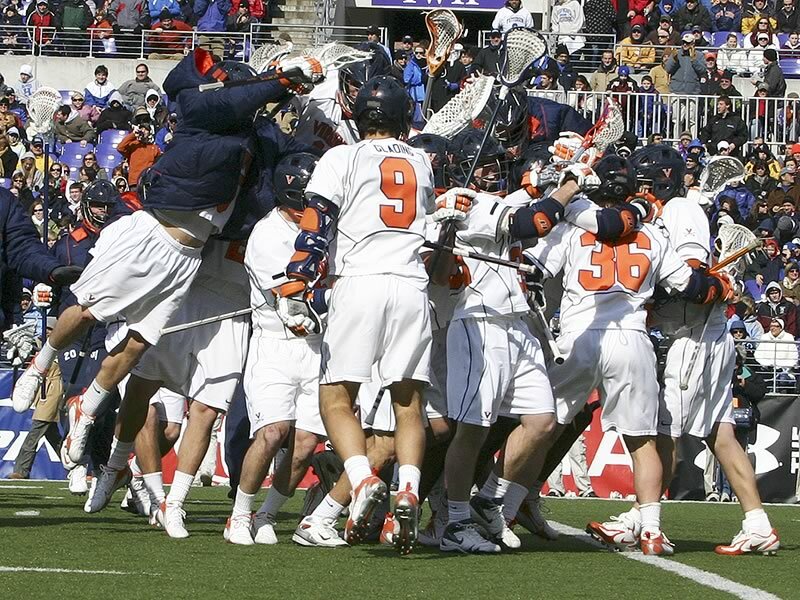 Virginia will meet Syracuse on March 1st at noon; Princeton takes on Johns Hopkins at 2:30pm. Last year, over twenty thousand fans (and a national TV audience) watched the Cavaliers take on Syracuse in a game that was billed ahead of time as an exhibition of two high-powered offenses. 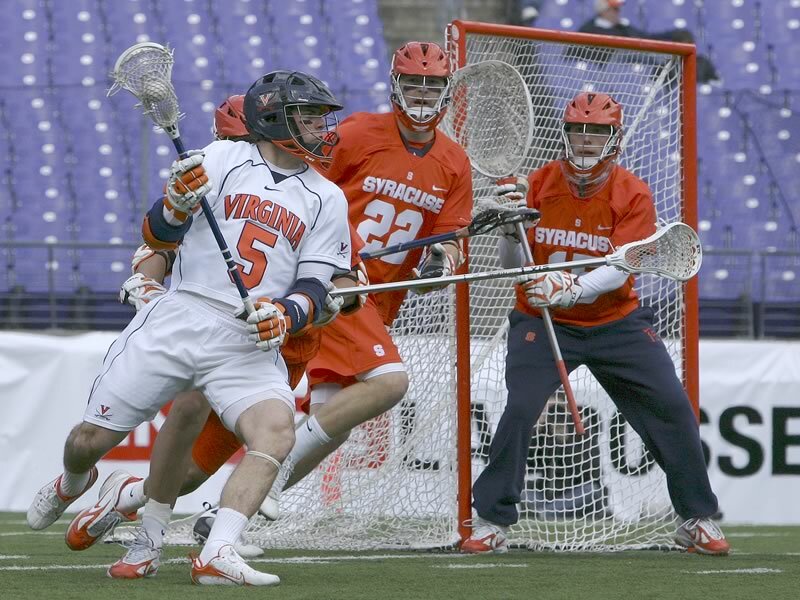 But, the Virginia Defense found their groove in the inaugural Inside Lacrosse Face-Off Classic, nearly shutting down Syracuse�? ?s second half in a 11-8 win on February 3rd, 2007. In the opening game of the 2007 Inside Lacrosse Face-Off Classic, Johns Hopkins defeated Princeton, 7-6, in double overtime. The Inside Lacrosse Face-Off Classic is an amazingly fan-friendly event, and definately worth the trip from Charlottesville. Tailgate lots open at nine a.m., with the gates to the stadium opening at 11 a.m. M&T Bank Stadium is a great venue for lacrosse, with great food and a plethora of venders.